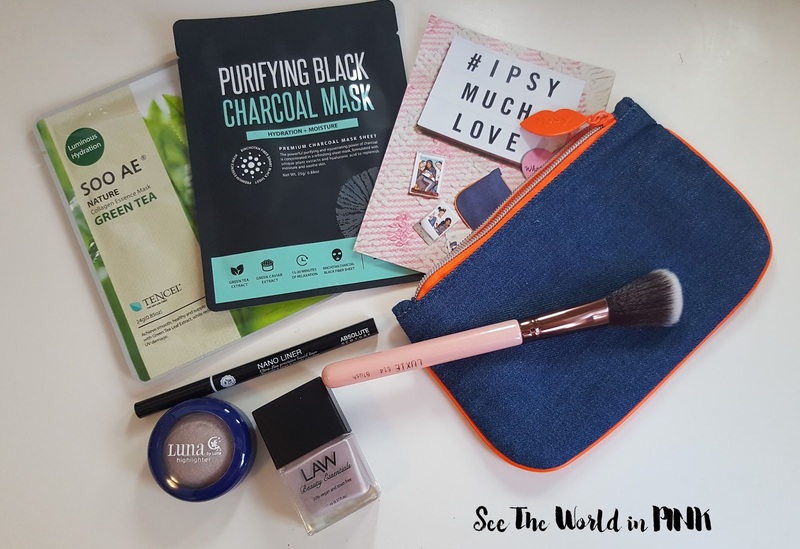 I'm quite happy with the products in this month's bag, but I do not like the little makeup bag they chose for this month! Luna Cosmetics Highlighter in "Calypso" - full size! This is a beautiful lavender highlight! SOO AE Sheet Mask Duo - Purifying Black Charcoal Mask & Nature Green Tea Collagen Essence Mask. I always love sheets masks so these are great! Law Beauty nail polish in Smoking Mauve - full size. This is pretty! I have been receiving a lot of polish lately though. Absolute New York Nano Liner Ultra Fine Precision Liquid Liner in Black - full size. Luxie Beauty - Luxie Rose Gold Blush Brush 514 - full size! Honestly, I can't even remember the last time my Ipsy bag came with all full sized products! While this was a pretty good month, I'm a happy with my choice to cancel Ipsy and Topbox and stick with Boxycharm. But Ipsy is a really great starter subscription and if you are interested in viewing my past Ipsy reviews, you can go here! Last night was really great - there was a Calgary Bloggers meetup through a new group, YYC Blogger Babes! 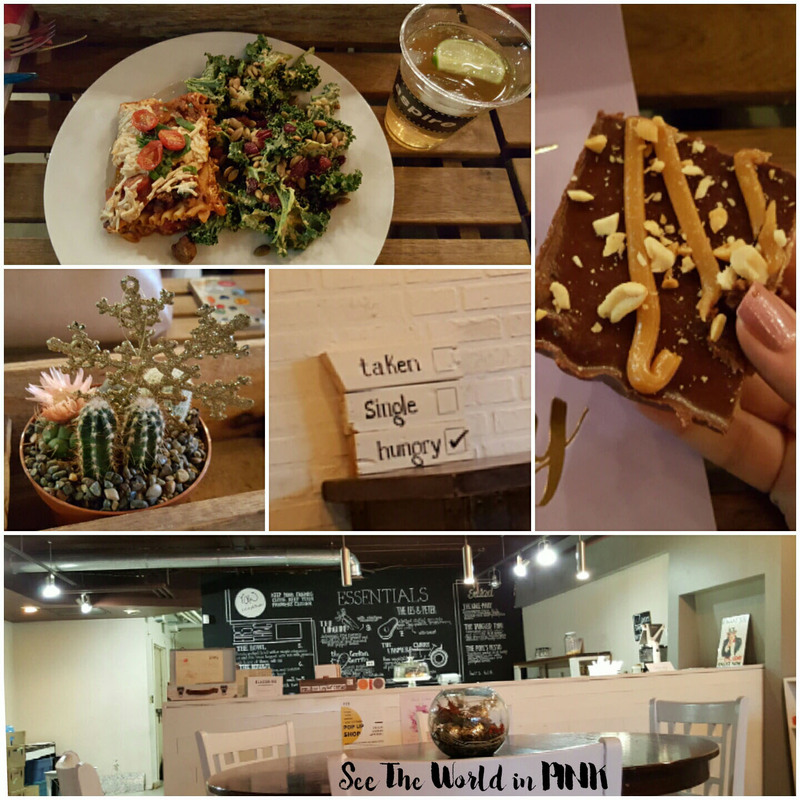 We met at Raw Eatery & Market (which so kindly closed for our private Blogger Babe event!) and were treated to a delicious meal, sparkling iced tea, and a salted caramel bar dessert! It was a working dinner so everyone collaborated and idea shared and it was a really great night! I look forward to continuing to meet and work with ladies in my city with the same hobbies and passion as me! Also, for the event I tried out a new lippie - ColourPop Ultra Satin Lip in "Panda" for the occasion! It is described as a deep violet and is actually a gorgeous colour!!! I'm planning some ColourPop reviews soon so stay tuned! 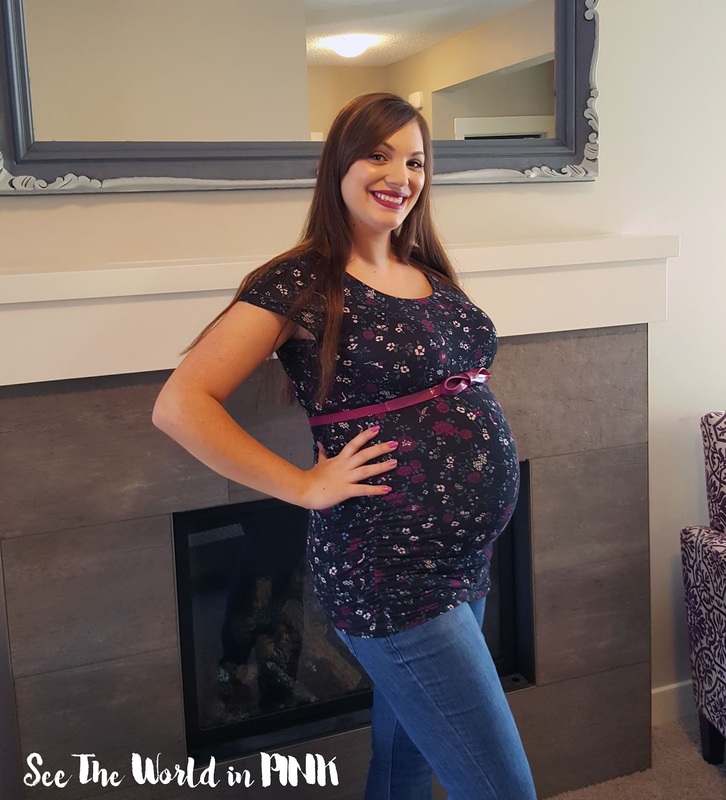 I'm officially 30 weeks pregnant - meaning I'm 3/4 of the way done!! The baby is size of a cantaloupe (or a platypus) and I'm thinking how can this thing get any bigger?! Anyways, it's nice to feel like i'm on the final stretch! I'm just doing a quick share of my February In8 Beauty subscription! I won a year subscription via Instagram and received my first box in December. 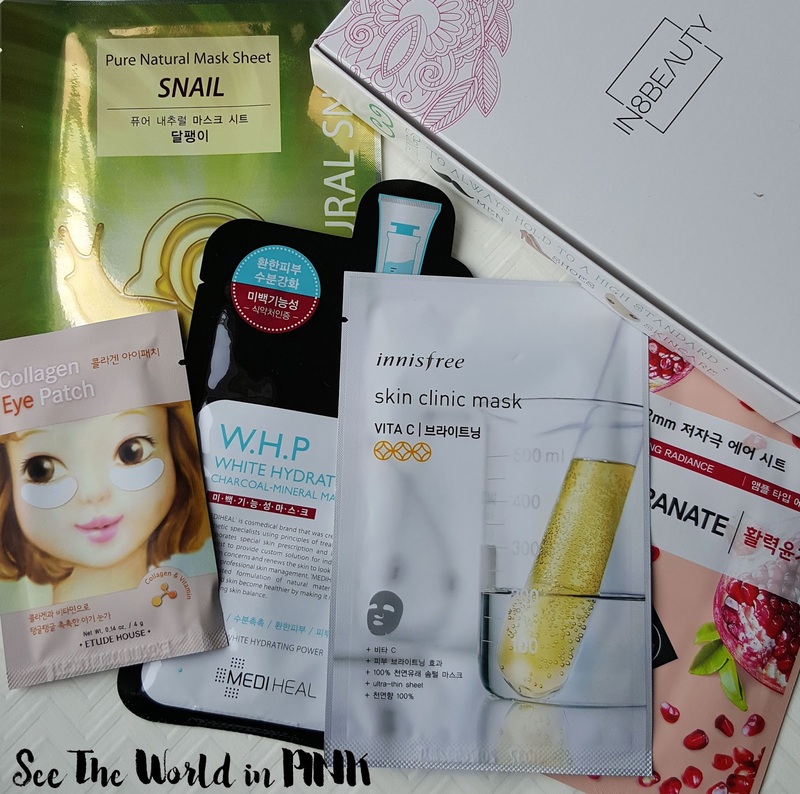 They changed the price point and number of masks in January, so I posted a full review in January - you can check out my full unboxing and thoughts here! The Saem Pure Natural Snail Mask Sheet ~ $2.50 CAN approx. I'm really excited for this mask - I love snail masks! Etude House Collagen eye patch ~ $3.00 CAN approx. I have used these before and I like eye masks, so these will be good! Innisfree Skin Clinic Mask Vita C ~ $3.00 CAN approx. The Skin Clinic masks are my absolute favorite masks ever, but I received this exact mask in last months box as well. Etude House 0.2mm Mask - Pomegranate ~ $2.00 US. This is fine, but I received the strawberry mask last month. This month was okay, I will keep sharing my thoughts on this subscription as I receive it! What are your weekend plans? We started to move my older son to the basement so he can have a big room and be away from baby crying when it's time, but we have new furniture to put together and both boy's rooms to organize now! We will see how much we get done!! Hope you guys gave a good weekend!